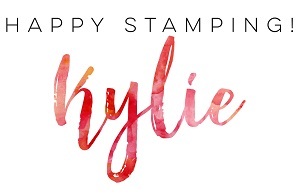 There are only a few hours left to take advantage of the AMAZING Joining Bonus and Designer Series Paper Specials, Stampin’ Up! has for the month of July! The Starter Kit is the BEST deal in the catalogue and it is even better with this new promotion. 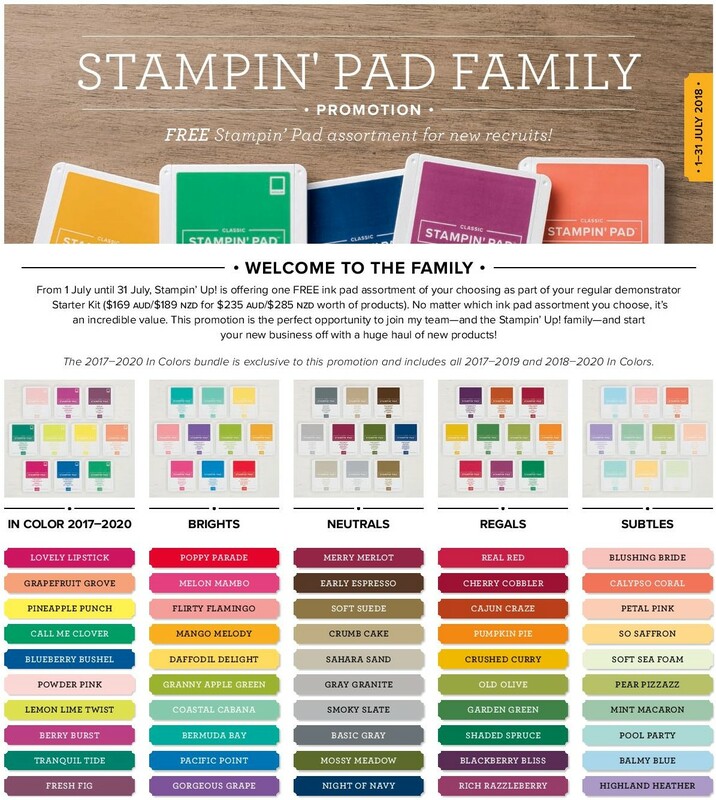 If you love Designer Series Paper then this is the sale for you! 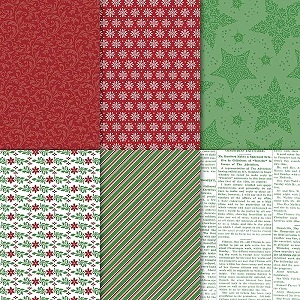 Buy any three of the following Designer Series Paper packs and get one free. Aren’t they gorgeous papers! Do you have a favourite? I can’t choose. I’ve now moved into my new place and have set up a little craft space. I have actually made a few cards – yay!! However I still don’t have the internet hooked up so I haven’t been able to share much. Hopefully this will be rectified today!! 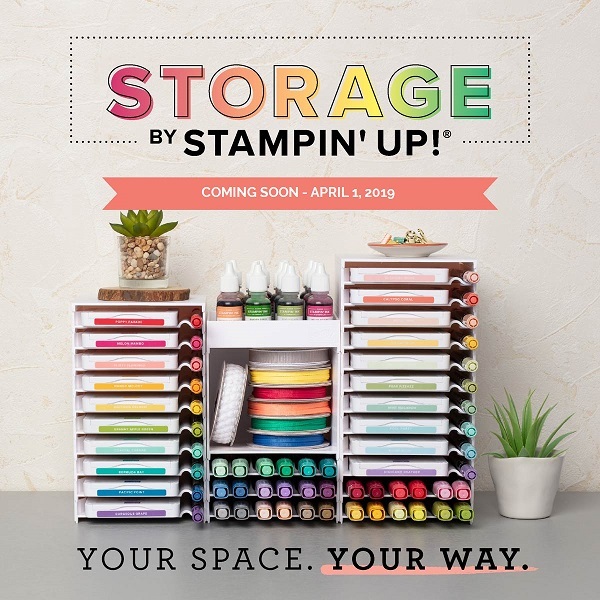 I can’t wait to share what I have been making and I cannot wait to tell you all about what is happening in the Stampin’ Up! world next month. There are more exciting opportunities and products coming soon. 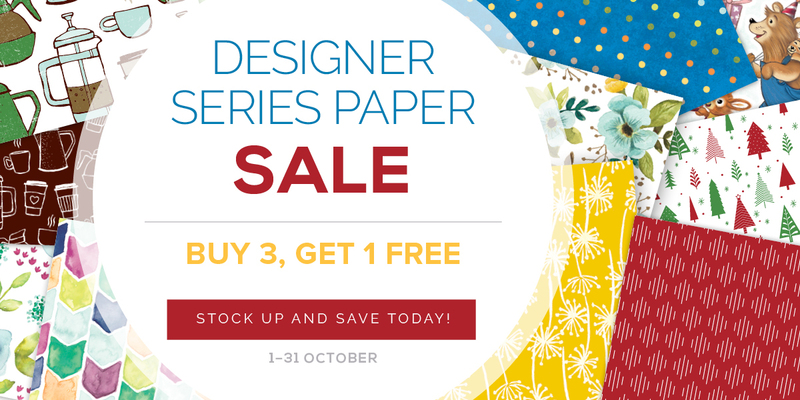 Hi Everyone, just a reminder that the FABULOUS Designer Series Paper Sale will be ending on the 31st October 2017. 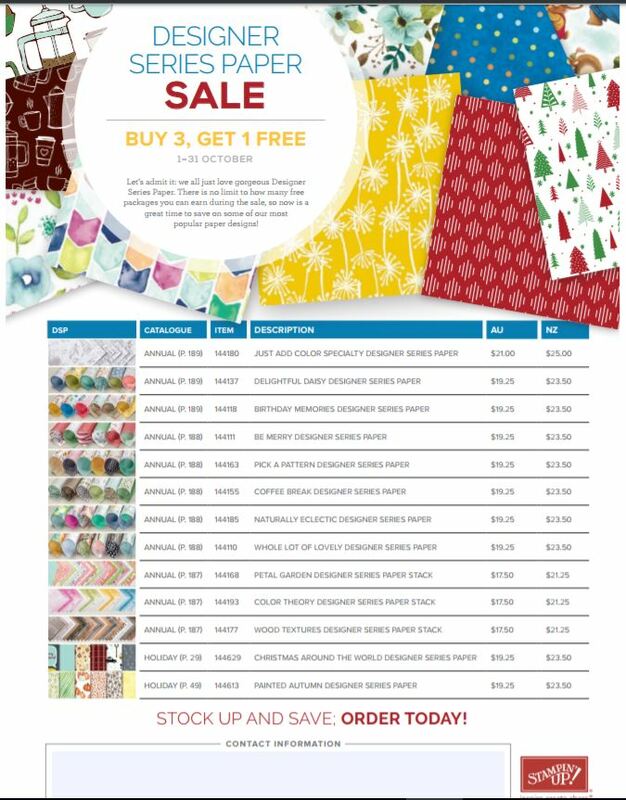 If you love using beautiful pattern paper in your crafting, you are going to LOVE the Designer Series Paper Sale which runs until the end of October. There’s no limit to how many free packets of paper you can earn, so now is the PERFECT time to stock up on your favourites. Here are the paper packets which are part of the promotion. You can download a copy of the list here. Don’t forget we are heading into peak Christmas card creation time. 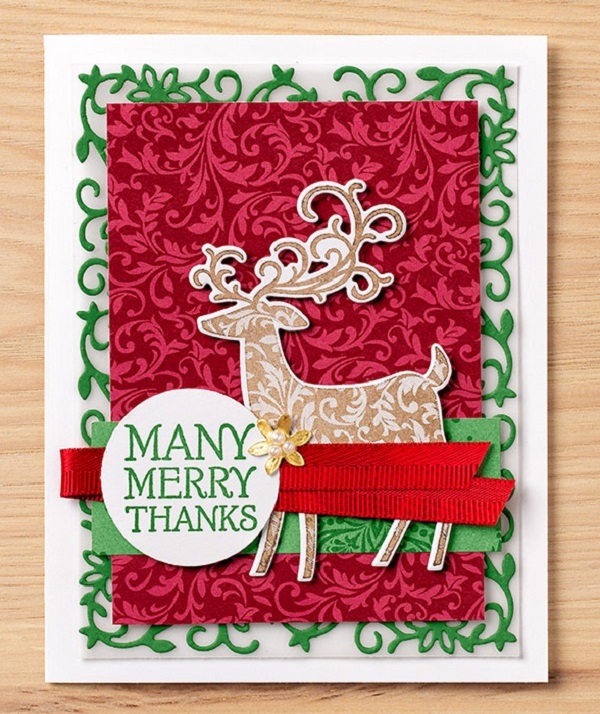 If you use patterned paper on your Christmas cards, then this is definitely the time to stock up on all you’ll need to get you through the holiday season. Don’t miss out on this wonderful opportunity to grab a great bargain!